Tucker, Yocum & Wilson Funeral Home has a long history serving the families of Georgetown and Scott County, Kentucky. Beginning in 1884, Ernest Ashurst began his funeral service career with the Stevenson & Carl Funeral Home. Later, Mr. Ashurst joined with Mr. John W. McMeekin to form McMeekin & Ashurst Funeral Home. 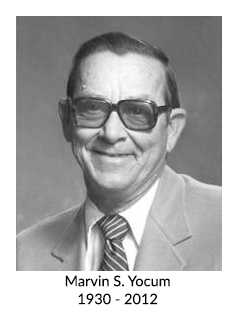 Mr. Ashurst was an innovative Funeral Director for his time-he assisted in organizing the Kentucky Funeral Directors Association, and served as one of the organization's early presidents. He also helped with the forming of professional standards for Kentucky Funeral Directors and Embalmers. Mr. Ashurst held license number 5, a fact of which he was very proud. In 1923, Mr. McMeekin retired from the funeral home and Mr. Ashurst became sole owner of the funeral home. A short time later Mr. Ashurst's son, Keen, joined the firm and the name was changed to Ashurst & Son Funeral Home. In November of 1924, Mr. Ashurst moved the funeral home from downtown Georgetown to the historic home on West Main, its current location. On February 11, 1908, on Bond Pike near Stamping Ground, Kentucky a baby boy was born to James and Sarah Cassity Tucker. They named him Jack B. Tucker. During World War II, Mr. Tucker worked as an Embalmer and Funeral Director in Eastern Kentucky. After the war, he came home to Scott County, and with his sister they purchased the Ashurst & Son Funeral Home in 1945. 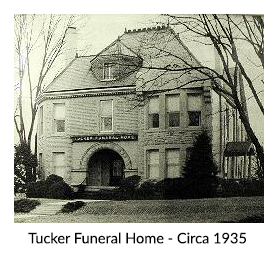 In August of 1949, after Miss Mariam Hunt Lancaster joined the funeral home, the name was changed to Tucker Funeral Home. Under Mr. Tucker's leadership the firm grew to be one of the most outstanding funeral homes in Kentucky. Mr. Tucker's love for his community was well known, and he showed it each day by the way he treated people. To this day, the funeral home is the benefactor of his many acts of kindness. 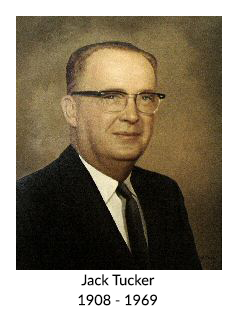 In the mid 1960's, Marvin S. Yocum joined the firm as a Funeral Director and Embalmer. In 1969 Mr. Tucker made the decision to slow down and sold his interest to Mr. Yocum. This was a momentous decision as Mr. Tucker lived only six months afterward. After the untimely death of Mr. Tucker, Mr. Yocum, with the help of Miss Mariam Hunt Lancaster, would take up the reins of the firm and move it forward. 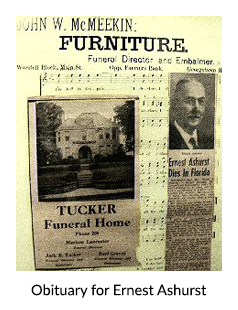 In the mid 1970's, the name Yocum was added to the firm to become Tucker, & Yocum Funeral Home. Mr. Yocum became very involved in community activities and served as Scott County Coroner for many years. Just as Mr. Tucker had taught him, Mr. Yocum operated under the same principle of "treat everyone the way you would want to be treated". 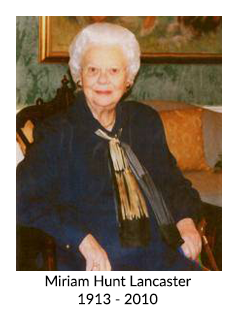 In October of 1985, Harlan L. Wilson, with his wife Wanda, purchased Mr. Yocum's interest in the funeral home. A few short years later the Wilsons also purchased Miss Lancaster's interest, and the interest of the estate of John M. Jones in the funeral home, thus becoming the sole owners. Under the direction of the Wilson family the name was changed to Tucker, Yocum & Wilson Funeral Home. The Wilson family completed the addition of the first funeral chapel in Scott County. Earl Graves was a life-long resident of Scott County and was the son of Asa and Lorena Morgan Graves. He began his funeral service career, after World War II, with Jack Tucker. 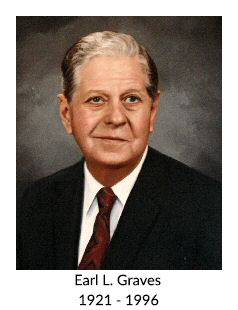 He left the funeral home in the 1960's, to operate an insurance business, but in the 1970's he returned to assist Mr. Yocum at the funeral home. When the Wilsons purchased the funeral home, Mr. Graves stayed on to help and guide them. Mr. Graves was more than just an employee. He was a friend and a mentor to Harlan and Wanda, and a grandfather to the Wilson children. He is still greatly missed. The motto of the firm is "A Tradition of Caring". And, even though we are one of the oldest funeral homes in Kentucky, with over one hundred twenty years of service to the Georgetown and Scott County community, the firm has never forgotten the principle of treating everyone with respect and care.